Once the diagnosis is confirmed, the outlook for most children who receive treatment for ADHD is encouraging. There is no specific cure for ADHD, but there are many treatment options available. Each child's treatment must be tailored to meet his individual needs. Treatment for ADHD uses the same principles that are used to treat other chronic conditions like asthma or diabetes. Long-term planning is needed because these conditions are not cured. Families must manage them on an ongoing basis. In the case of ADHD, schools and other caregivers must also be involved in managing the condition. Educating the people involved about ADHD is a key part of treating your child. As a parent, you will need to learn about ADHD. Read about the condition and talk with people who understand it. This will help you manage the ways ADHD affects your child and your family on a day-to-day basis. It will also help your child learn to help himself. At the beginning of treatment, your pediatrician should help you set around 3 target outcomes (goals) for your child's behavior. These ­target outcomes will guide the treatment plan. Your child's target ­outcomes should focus on helping her function as well as possible at home, at school, and in your ­community. You need to identify what behaviors are most preventing your child from success. Your child's treatment plan will be set up to help her achieve these goals. Ongoing monitoring of your child's behavior and medications is required to find out if the treatment plan is working. Office visits, phone conversations, behavior checklists, written reports from teachers, and behavior report cards are common tools for following the child's progress. 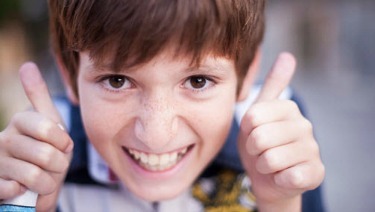 Treatment plans for ADHD usually require long-term efforts on the part of families and schools. Medication schedules may be complex. Behavior ­therapies require education and patience. Sometimes it can be hard for everyone to stick with it. Your efforts play an important part in building a healthy future for your child. Ask your pediatrician to help you find ways to keep your child's ­treatment plan on track. What if my child does not reach his target ­outcomes? Most school-aged children with ADHD respond well when their ­treatment plan includes both medication and behavior therapy. Were the target outcomes realistic? Is more information needed about the child's behavior? Is another condition hindering treatment? Is the treatment plan being followed? While treatment for ADHD should improve your child's behavior, it may not completely eliminate the symptoms of inattention, hyperactivity, and impulsivity. Children who are being treated successfully may still have trouble with their friends or schoolwork. However, if your child clearly is not meeting his specific target outcomes, your pediatrician will need to reassess the treatment plan. Will there be a cure for ADHD soon? While there are no signs of a cure at this time, research is ongoing to learn more about the role of the brain in ADHD and the best ways to treat the ­disorder. Additional research is looking at the long-term outcomes for people with ADHD.